Operational layout of an SCR-615B fixed radar unit. 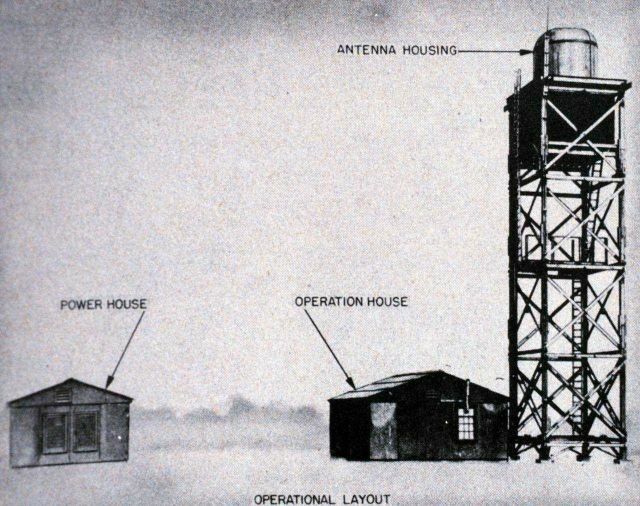 In: “AAF Manual 105-101-2 Radar Storm Detection,” by Headquarters, Army Air In: “AAF Manual 105-101-2 Radar Storm Detection,” by Headquarters, Army Air Forces, August 1945. Library Call Number M15:621.384 U58r.